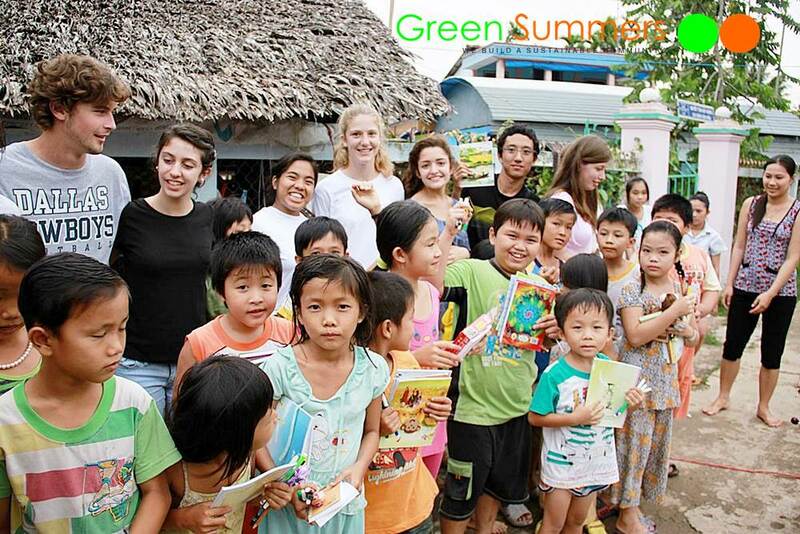 Green SummersWe keep searching new types of student community service projects. 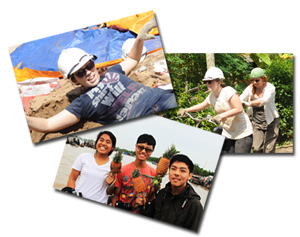 At Green Summers, we continually seek out new types of student community service projects. We carefully research new places, assess community needs and ensure that appropriate accommodations for our students are available before moving forward. We build risk assessment and evacuation plans, evaluate transportation options, consider traffic and safety and make sure the experience will be, above all, educational for our students. We develop multiple back-up plans in the unlikely event that something unexpected occurs. 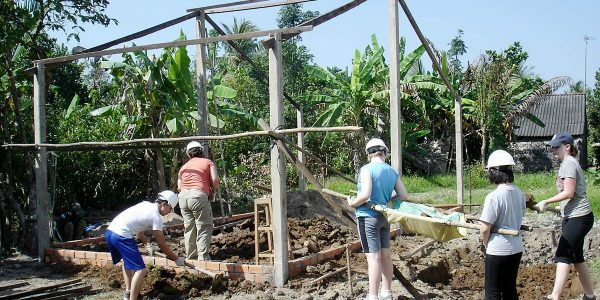 Our project types vary from public construction that will positively impact an entire hamlet, such as building a bridge and setting a cement road to building a house for a poor family. We build libraries to support educational goals, and improve sanitation by building toilets. Each trip includes ample opportunities to travel and experience the dramatic and magical Vietnamese countryside. 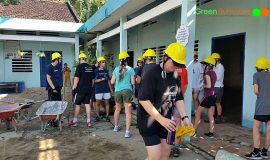 Mekong exploration and community project: 5 days of hard work in the Mekong Delta followed by days of historical discovery and beach fun. Projects have included building roads, renovating schools, fixing houses and creating a bathroom where none existed for school children. 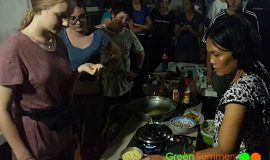 Community project with indigenous people and tropical beach: 5 days working in a highland setting and living nearby a minority people followed by several days of sightseeing, experiencing the local culture and relaxing at a beach. 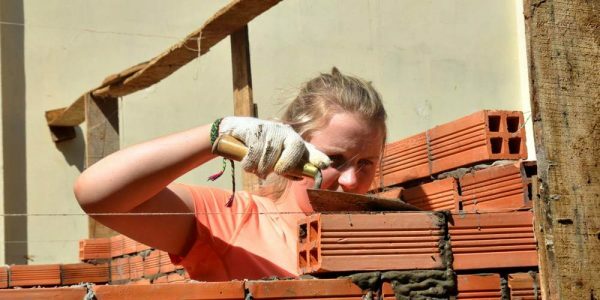 These projects have included fixing a bridge, and re-building water supplies. A village South of Hanoi: 5 days working in a poor village nearby a national park plus visiting the , followed by a trip to experience the beauty of Hanoi, the colorful culture features of minority people and relaxing on Halong Bay, a spectacular UNESCO world heritage site of with geographical significance. Typical projects focus on rebuildinbg water supplies. 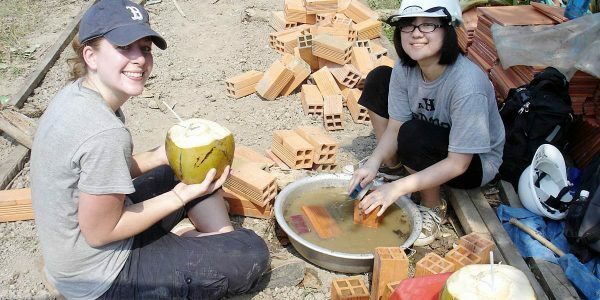 Community service in Centrale Vietnam: Perhaps the poorest land in a very poor country, rural central Vietnam has many needs. 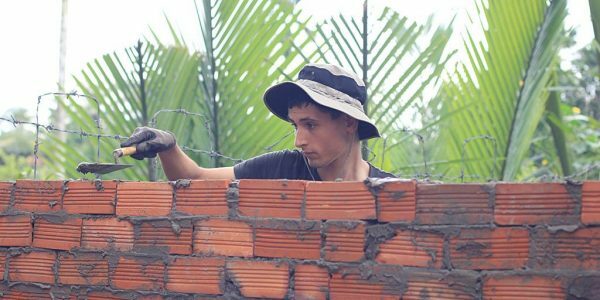 We can visit any number of sites, such as Sia, a village next to Hue City or Khe Sanh, the famous battle field at war time. 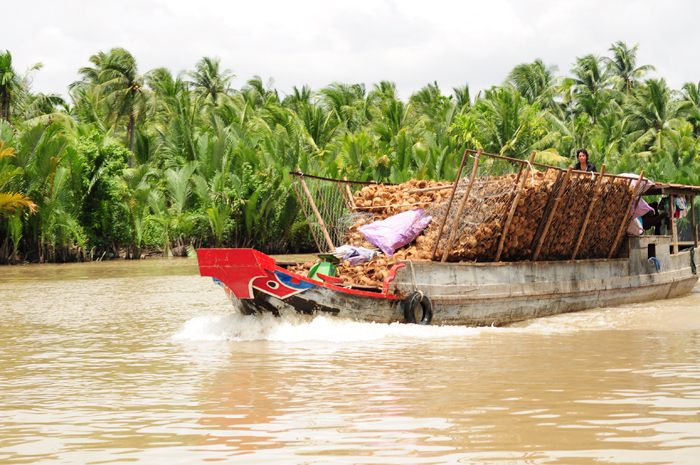 The service includes 5 days of improving irrigation systems to support rice cultivation. 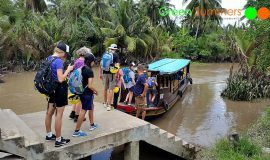 The rest of the time is spent exploring valuable historical sites and enjoying traditional boat trips. Creating a library: Transforming a room in a local school from nothing to an attractive and appealing library by adding a metal roof, cement, wood, paint and contributing your artistic abilities. Books are loaded onto the shelves, a book search system is developed and then we instruct students how to use the library and inspire them by reading in English. 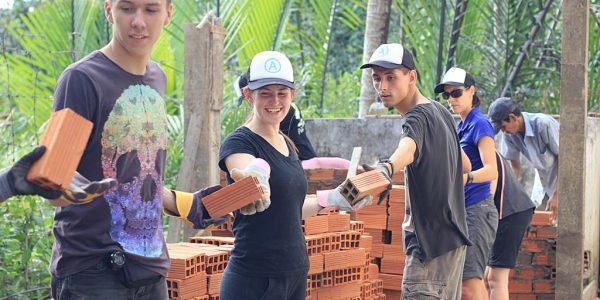 Standard level projects are suitable for students who are not interested in manual labor but who have the energy and interest to contribute in other meaningful ways, such as transferring knowledge and teaching new skills for members of the community. 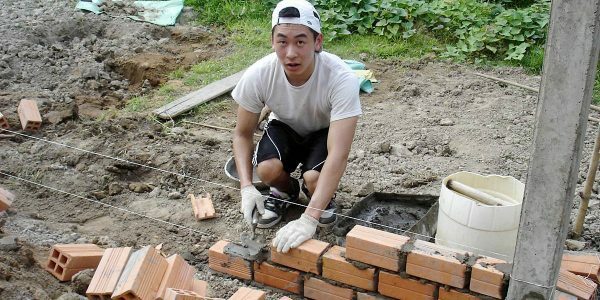 These projects require students with great communication, social and interpersonal skills. Raise the environmental awareness among a community: These community service project occur in National Parks, beaches or slums where we have come to install rubbish bins, decorate buildings in disrepair, deliver brochures on environment issues and talk to the locals about reducing littering. 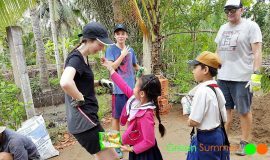 English teaching programs: We provide volunteers an opportunity to teach English to younger children, read stories, and inspire a love of education through enthusiasm. 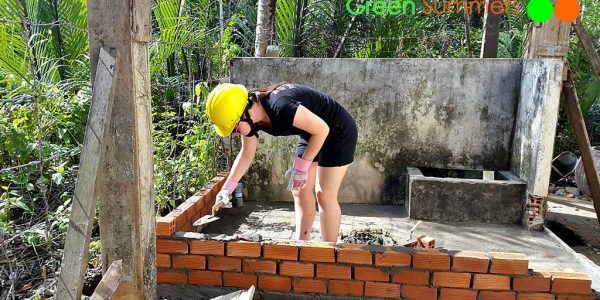 Green Summers contributes all materials needed for our projects, organizes local volunteer labor and hires skilled local people to keep our projects running smoothly. Upon successful completion of a volunteer program, students receive a certificate for 40-100 hours of community service. And leave with memories that will last a lifetime.